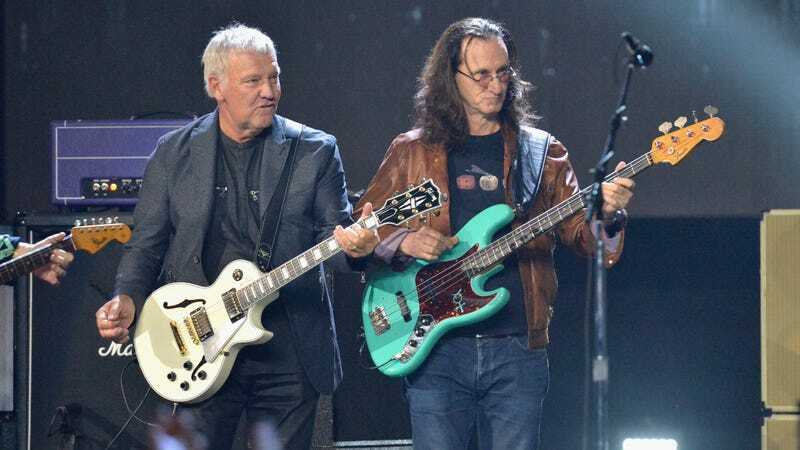 Once again demonstrating that the Venn diagram of people who love Rush and people who love geeky science stuff is essentially a circle, three new species of microbes have been named after members of the Canadian rock trio. To celebrate, let’s check out Neil Peart’s drum solo from the Rush In Concert: 30th Anniversary broadcast. Indeed, unlike normal cells which possess a few flagella, these ones contain more than ten thousand very lengthy flagella, giving the impression of long flowing hair. In honor of these microbes, let’s now turn to a Peart performance of “The Rhythm Method,” a drum solo (originally titled that on the band’s A Show Of Hands live album) here captured on the tour for Roll The Bones. God, the way he incorporates those triggers on the cymbals, am I right? And you may not notice it right away, but if you listen close, you can sense how the entire vibe of his solos changed after he learned the alternate grip. Regardless, microbiologist Keeling and his team sound like a pretty fun gang: They previously named a different termite microbe after the H.P. Lovecraft demon god Cthulhu—and now that we think about it, it’s kind of insane Peart’s lyrics have never dealt with that particular mythos. The band joins a pantheon of other artists with organisms named after them, like Radiohead, Pink Floyd, Johnny Cash, Joe Strummer, Neil Young, and more. So did you listen to that bootleg we sent you of Peart’s solos during the Hemispheres tour? You should probably listen to that first, it kind of captures the soul of where his playing went after that, especially given the more pop direction they moved in with Permanent Waves.